Introduction:- Any business achieves their goal by performing multiple activities. Business is complete itself when it performs all kind of operations properly. The economy of the nation depends on its business’s structure and its growth. Two thousand years ago, India and the East Asian countries had almost 60 per cent share of the world economy. If lookup on business history we can find at that time also all business’s process used to do. Today we can find that business depends on multiple processes like inventory and order management, accounting, human resources, customer relationship management (CRM), etc. Due to globalization business’s growth is increasing day by day. To maintain the business health without investing on human capital technology provides us the best solution that is known as ERP. With the help Of ERP any organization either small scale or large scale can achieve their goals on time.ERP software integrates these various functions into one complete system to streamline processes and information across the entire organization. Today, ERP has expanded to encompass business intelligence (BI) while also handling “front-office” functions such as sales force automation (SFA), marketing automation and e-commerce. With these product advancements and the success stories coming out of these systems, companies in a broad range of industries—from wholesale distribution to ecommerce—use ERP solutions. Enterprise resource planning (ERP) is a process by which a company (often a manufacturer) manages and integrates the important parts of its business. An ERP management information system integrates areas such as planning, purchasing, inventory, sales, marketing, finance and human resources. ERP is most frequently used in the context of software. As the methodology has become more popular, large software applications have been developed to help companies implement ERP. 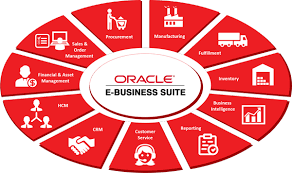 ERP software is considered to be a type of enterprise applications, that is software designed to be used by larger businesses and often requires dedicated teams to customize and analyze the data and to handle upgrades and deployment. In contrast, small business ERP applications are lightweight business management software solutions, often customized for a specific business industry or vertical. Depending on your organization’s size and needs there are a number of enterprise resource planning software vendors to choose from in the large enterprise, mid-market, and the small business ERP market. Gartner’s annual market share reports put SAP, Oracle, Sage, Microsoft and NetSuite among the top vendors, but Capterra’s data suggests that SAP and Oracle are easily the biggest two, with Epicor, Infor and Microsoft on their heels in a shifting line-up. The top small business ERP vendors include names like NetSuite, Exact Max, Epicor, Syspro.